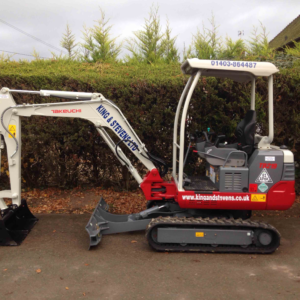 Categories: Digger Hire, Plant Hire. 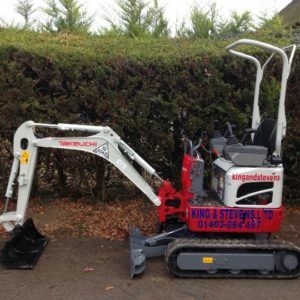 The 1.5 ton mini excavator is the most popular size for small areas if you do not have any limited access problems. 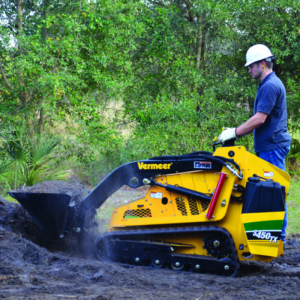 The digger expands to wider tracks for added stability when digging and tracking. 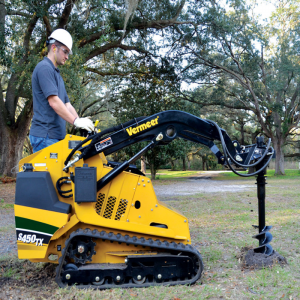 This machine can take a breaker attachment (breaker price is additional) but not an auger attachment and we do not recommend that is machine is used as a crane. Basic specifications and dimensions are below. 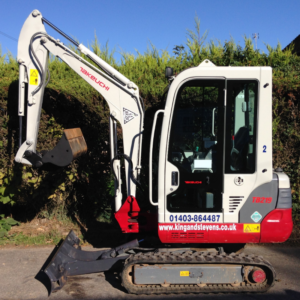 Please see Manufacturers Spec Sheet tab for detailed dimensions.